From what I hear, this will be the first of a trilogy (not unexpected I suppose). And I have to say I am eagerly looking forward to the next book. 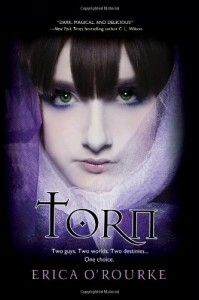 If you want a quick, fun, paranormal read, I highly recommend Torn . I just started reading that! Enjoying it so far.